WOODRUFF- Joyce Katherine Smoak Switzer, 88, of 411 Wedgewood Drive went home to be with the Lord, Saturday, March 16, 2019. A native of Orangeburg County, she was born August 17, 1930, to the late Cecil and Katherine Rhoad Smoak and was predeceased by her husband of 42 years, Carol Franklin Switzer. She was a 39 year employee of Spartanburg County District Four Schools before retiring as librarian of Woodruff High School in 1992. 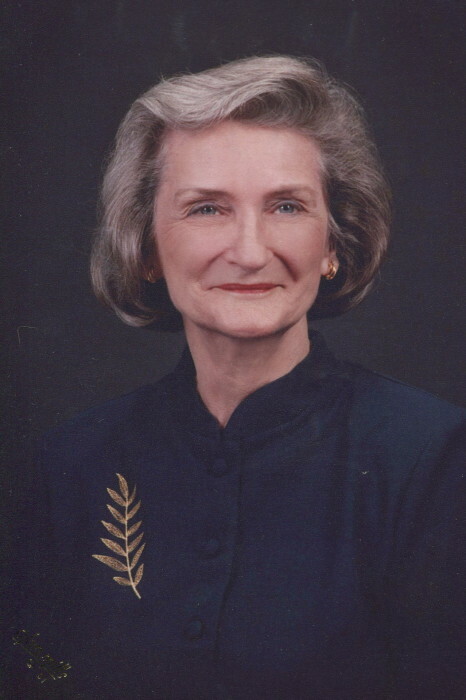 She earned her BA degree in Library Science from Winthrop University in 1951 with additional credits at Wofford, Converse, USC, USC Upstate, and SC State. Mrs. Switzer was a devoted wife, mother, and grandmother who loved spending time with her family. Her joy, in addition to her family, was her participation in leadership roles at Emma Gray Memorial United Methodist Church having served on the Administrative Council, Trustee, Joy Club and president of the Wesleyan Service Guild. Her love for God and her appreciation of nature were evident in her daily activities. She was a past member of Delta Kappa Gamma and was a former officer in the South Carolina Association of School Librarians. Mrs. Switzer is survived by her daughter, Ginger S. Lanford and her husband, Tony of Woodruff; her son, Tracy C. Switzer and his wife, Niki of Woodruff. She was blessed with three grandchildren; Julie and Troy Lanford and Trey Switzer. She was predeceased by her brother and only sibling, Conrad C. Smoak of Cope, S.C.
Funeral services will be held at 4:00 p.m. Tuesday, March 19, 2019 at Emma Gray Memorial United Methodist Church conducted by Rev. Andy Watson and Rev. Doug Huntsinger. Interment will follow in the First Presbyterian Church Cemetery. Visitation will be held from 2:30 p.m. to 3:45 p.m. prior to the service in the church social hall. In lieu of flowers memorial contributions may be made to Emma Gray Memorial United Methodist Church, 321 West Georgia Street, Woodruff, S.C. 29388.